Currently viewing the tag: "self reliance"
Balancing the Ten Principles–Gifts from God? 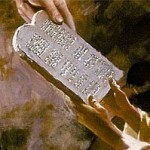 Are the Ten Principles inviolable laws handed down from god? In this post we approached the principles from a deontological perspective, to try to figure out if and when it might be appropriate to depart from orthodoxy.